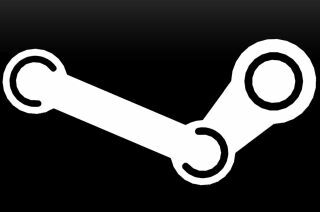 The Steam subscriber agreement has been updated to include a provision requiring all users to disclose when they are using the platform to promote a "product, service, or event" in exchange for cash, swag, or other considerations. As noted by Gamasutra, the update is similar to one made last year that required Steam Curators to disclose paid recommendations, but this one applies to everybody. The specific line is in Section C of Part 6 of the user agreement, and reads: "If you use Steam services (e.g. the Steam Curators’ Lists or the Steam Broadcasting service) to promote or endorse a product, service or event in return for any kind of consideration from a third party (including non-monetary rewards such as free games), you must clearly indicate the source of such consideration to your audience." I'd hazard a guess that the advent of Steam Broadcasting is largely responsible for the update. If it takes off as Valve presumably hopes, it will see a large uptick in Let's Play-style videos, at least some of which will be sponsored by developers and publishers; the FTC told Gamasutra last year that streamers must disclose paid content in a "clear and conspicuous" manner, and that failure to do so could lead to an investigation. But where the change could prove particularly interesting, and not necessarily in a good way, is with regard to Steam user reviews. If a YouTuber receives a game code for review, for instance, and then later throws the game in question a recommendation on Steam, are they required to disclose the "relationship" along with the thumbs-up—and do they risk forfeiture of their account for failing to do so? It's perhaps a slightly alarmist take, but it doesn't seem completely out of the question that there could be a few bumps on the road ahead.